Double EP released 10 June 2012. How am I supposed to believe? Featuring a full band with special guests from the local music scene, Twelve was recorded over five days in early 2012 at Parr Street Studios in Liverpool, UK. 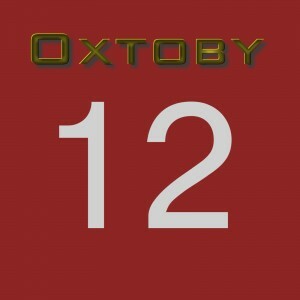 You can listen to both EPs in full at the Oxtoby store, where you can also purchase a double CD and/or download. All purchases from the official store include exclusive bonus content not available anywhere else: previously unreleased bonus songs, music videos including The Nursery Rhyme Blues (see it on YouTube here), and three full-colour booklets with artwork, studio photographs, and hand-written song lyrics and guitar chords. Twelve is also available from iTunes, Amazon MP3 (UK / USA), Spotify and Last.FM, but without the bonus content (go here for the bonus content and best price). great, varied original music and lyrics.